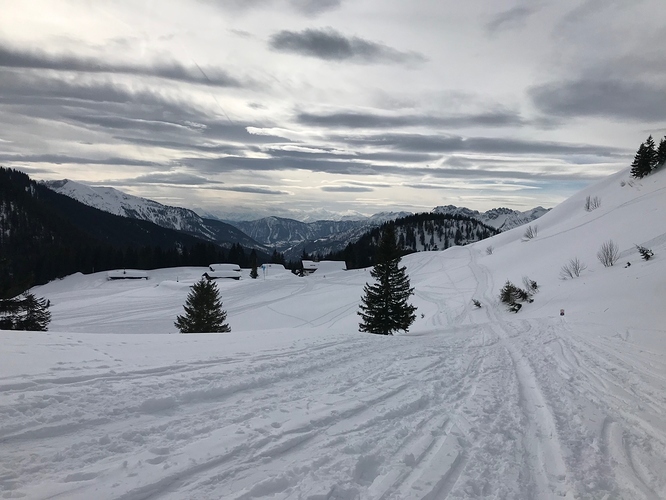 Today, I had a nice quick activation of DL/MF-053, Jaegerkamp (1746m, 6 Points); a very popular summit for skitouring and snowshoe hikes. Initially, I had planned to add the neighboring DL/MF-054, Aiplspitz via the normal route or as a traverse via the West ridge, but the predicted and actually arriving foehn storm recommended going home with one summit in the bag. Route descriptions are plenty on the Web, see e.g. https://www.hoehenrausch.de/berge/jaegerkamp/skitour/. The beginning of the route is identical with DL/MF-050; at 1420 m asl (near the Schönfeldhütte hut), make a sharp left turn, pass below the steep and sometimes dangerous faces of the Wildes Fräulein (left) with sufficient safety distance and then east-northeast direction towards the Tanzeck until you see a DAV sign reminding of the sensitive nature in the area. Then, make a left turn and traverse to the summit only some 50 m below the actual ridge. 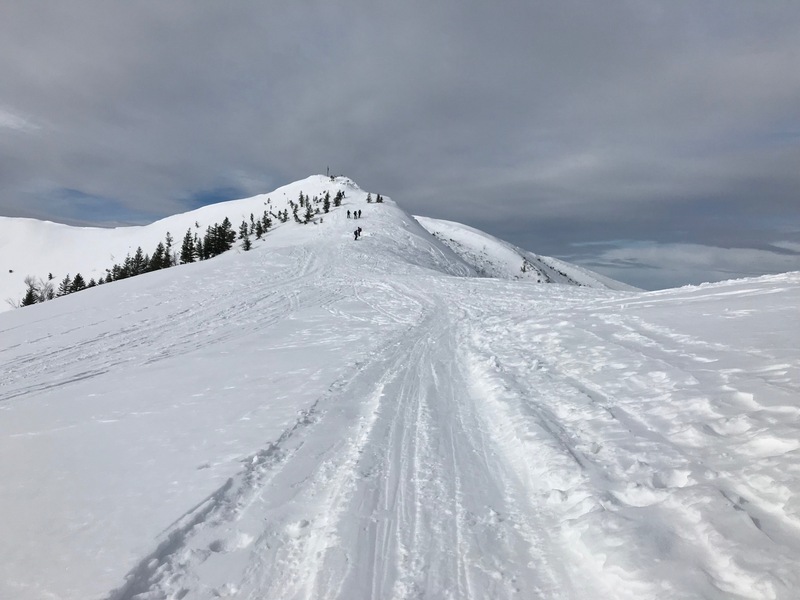 When the avalanche conditions are a bit more dangerous, it is better to continue from the Schönfeldhütte down to the Rauhkopfalm (ca. 60m downhill, can be done on climbing furs) and then make a left turn. That way you avoid the steep faces of the Wildes Fräulein. This is a pretty popular route that is relatively safe from avalanche risks, except for the steep faces of the Wildes Fräulein and the risk of wet and ground avalanches on warm days and late in the season. The final eastbound traverse of the route may require a well-considered choice of route to be safe. You should know avalanche risk management, though. The parking lot is about one hour by car from Munich. The ascent to the summit is ca. 700 m and takes 1.5 - 2.25 hours, depending on your pace. The way down is ca. 45 minutes. 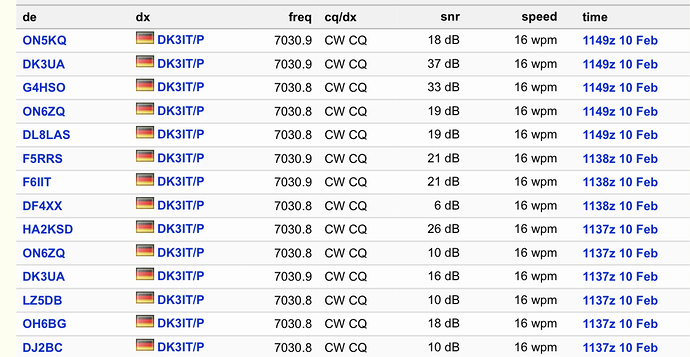 I used my TinySOTA station (MTR3 with power + accessories in a single enclosure), the @HB9BCB EFHW with traps for 40-30-20m, attached to a 6m carbon-fibre mast from Decathlon, deployed in an inverted-V from North to South. and the very moment, SM7DIT called (my guess is that he was in a contest an not actually chasing). 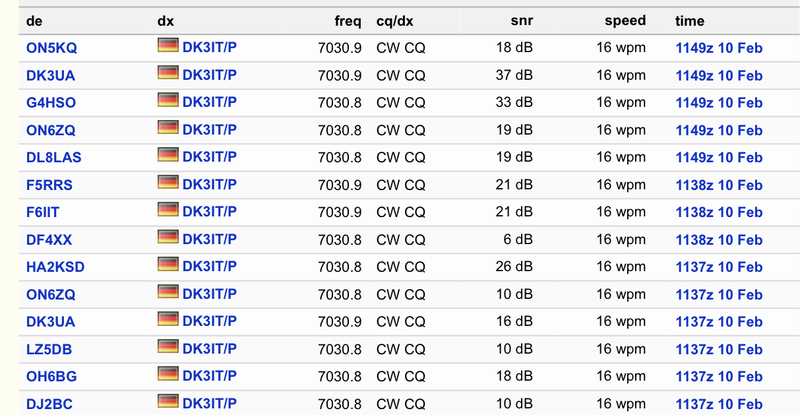 A total of 11 contacts were possible on 40m until it became quiet on my frequency and my fingers got cold. Two Spanish stations (@EA2LU and @EA2DT) made it, the most distant contact was with Oleg, @RN3QN from Russia. When I could hardly feel my fingers due to the ever-increasing winds, I sent QRT and packed up. A big thanks to all chasers! You had a nice signal via ground wave here in Munich city. Thanks for chasing! You have already been very active in 2019; I must work hard to catch up on the 2019 DL list ! Agn mni gnx fer qso es hpe cuagn! That summit looks absolutely ideal for skiing. 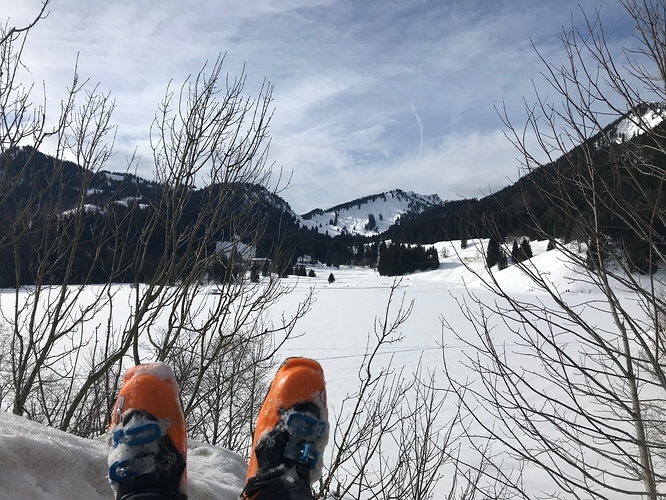 I’ve activated one summit by x-country skis in England. Great fun|! Your doing very well; I wish i could do sota using ski as you do. Hi Martin, thanks you very much for both MF-050/MF-053 QSOs. 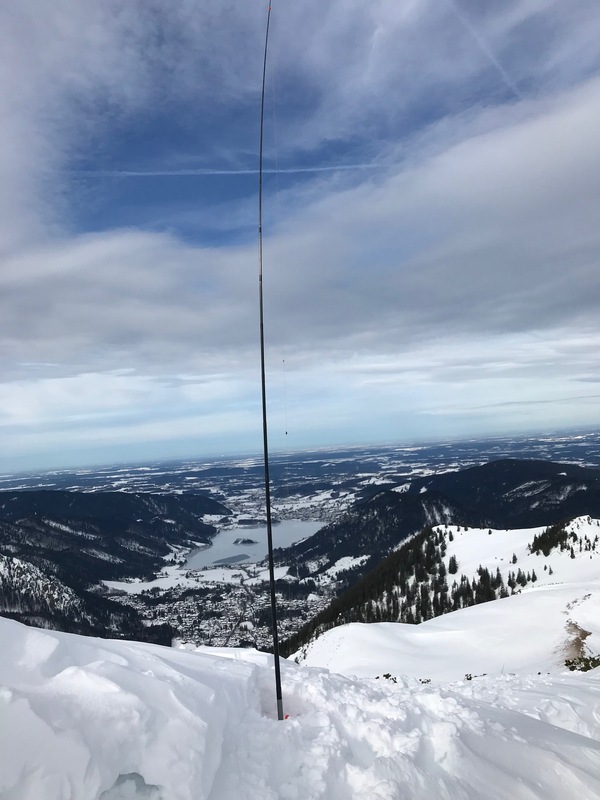 Your signals always solid here, your equipment works great! First, many thanks for the QSOs and nice feedback! 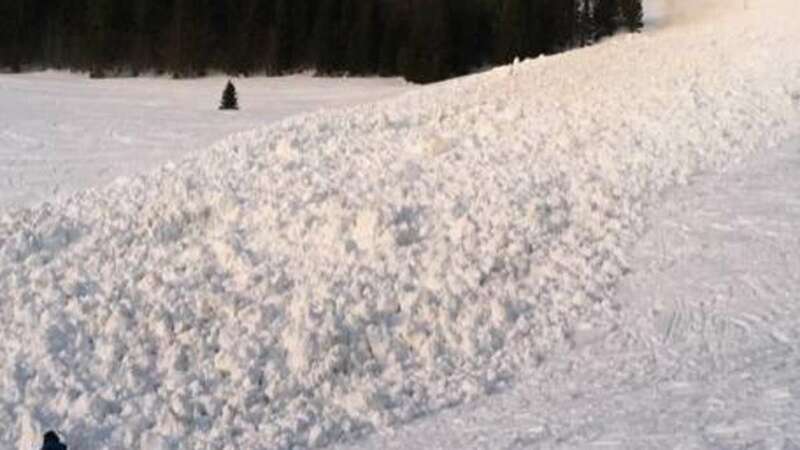 Because of the massive amounts of snow, the height of the snowpack at the bottom of the avalanche was up to 6 m. Fortunately, nobody was harmed, but since this is a very popular area, the relevant bodies carried out an intense search operation, which took them until late in the night. When I was on Jaegerkamp, I could already see some large ruptures in the snow (“Gleitschneemaeuler”), which are a typical sign of snow moving downwards directly on the ground surface. Bottom line: Even a low avalanche risk index (“Lawinenwarnstufe”; it was the lowest on that day), wet avalanches are a real threat this winter.